As opposed to Great Shape Barbie? 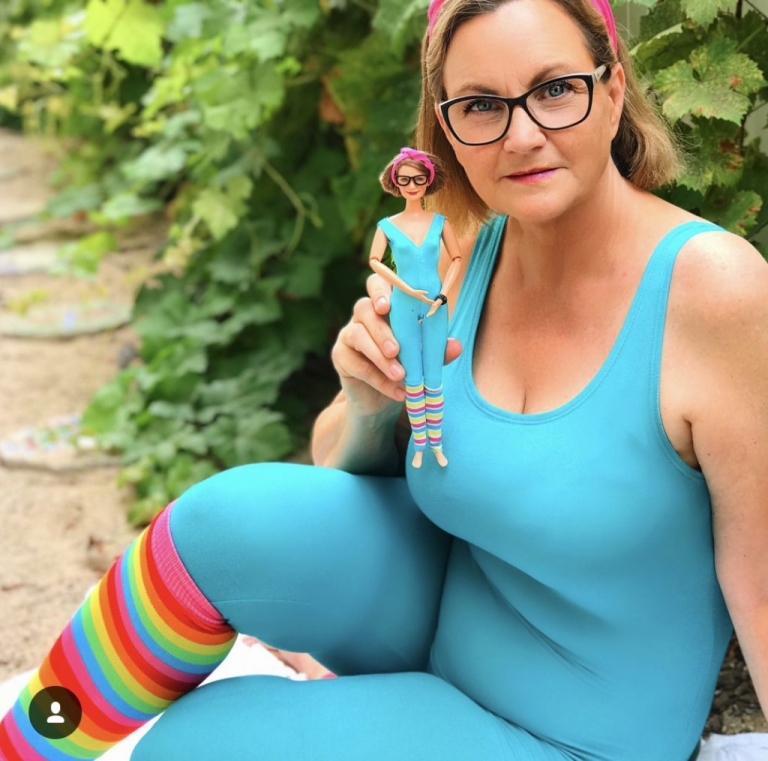 I’m the Not So Great Shape Grandma Barbie – but I’m overcoming my struggles with body image. Do you want to know why? As a teenage-fashion model, I worked in an industry with beauty standards few could attain and even fewer could keep. During that time I weighed myself daily and agonized over every real and imagined blemish. Who wants to live like that? Certainly, I don’t. In the real world, eating “Häagen-Dazs” is not a crime. So what if we’re not seven feet tall and seventy pounds like the girls in the fashion magazines. The average fashion model is a size four. The average REAL woman is a size 14 with curvy hips, a rounded stomach and an ample bosom. Real women are not on magazine covers. Real Women are at Walmart. 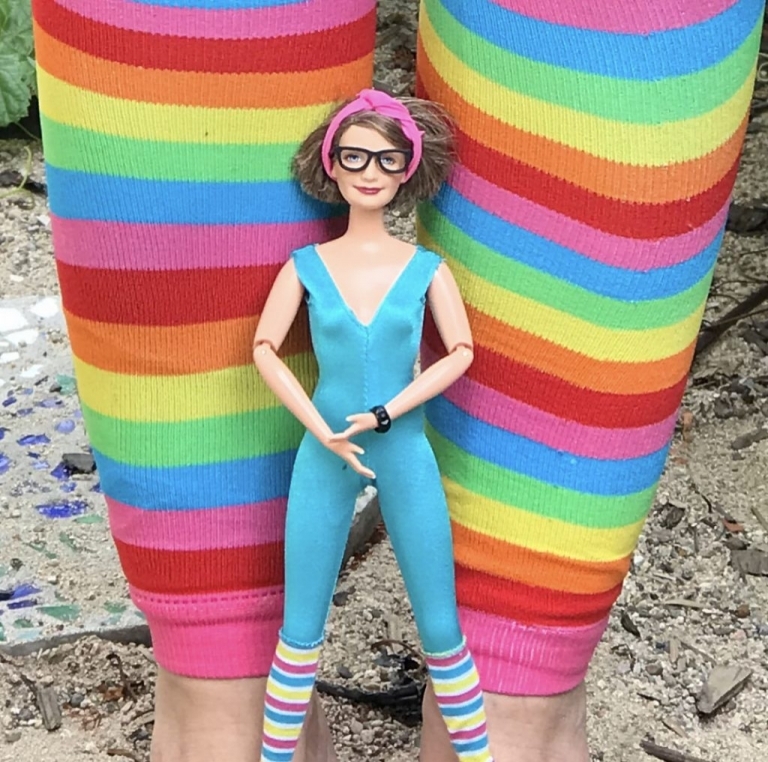 When Great Shape Barbie came out in 1983, I was still in great shape. But now that I’m in my fifties, just getting into the Unitard and leg warmers was a sweaty workout. My spider vein on my legs look like a road map to Milwaukee and by the numerous laugh lines on my face you’d think that I spend all my waking hours watching I Love Lucy episodes. Grandma Barbie and I may not have the tiny waist or flat tummies of our yesteryears, but we’re okay with that. I wear my Fitbit and try to walk every day. I’m doing the best I can and that’s okay. How about you?